When the average person thinks of a DUI charge, the first thing to come to mind is an alcohol-related offense. However, that is not the only way one may be issued a DUI. Driving under the influence of drugs or alcohol is illegal which means that driving high on marijuana can result in a DUI arrest. With this being a new comparatively new initiative, it is an area of law that police officers are still learning to enforce which often results in false arrests and the application of unrelated charges. Ensure that your rights are protected and that you aren’t wrongfully convicted of a DUI by securing the legal services of a knowledgeable criminal defense lawyer. The Orlando marijuana DUI lawyers at The Umansky Law Firm are experienced DUI attorneys who’ve helped people just like you resolve their legal issues on the most favorable terms. Legal marijuana is new to Florida, and instead of being able to merely arrest anyone caught in possession of marijuana, police officers must consider numerous factors which often leads to missteps. Don’t assume that you’re guilty just because you were arrested for a marijuana DUI. 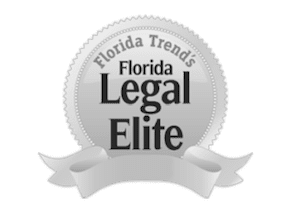 Invest in the services of an Orlando marijuana DUI lawyer who can discuss your legal options and fight to have charges lessened or even dismissed if possible. Law enforcement officers are trained to write these down as impairment indicators; however, a medical professional would tell you that none of these have anything to do with marijuana impairment. These “clues” are subjective, meaning that whether or not an officer makes a marijuana DUI arrest would rely on if they personally believe that you’re high. It is for this reason why you must have legal counsel by your side who can file motions and raise questions on your behalf. Traditional field sobriety tests can only check for signs of alcohol intoxication, not marijuana. The results of such a test will be inaccurate and unreliable evidence to present in court. To circumvent this issue, law enforcement officers in Central Florida have started requiring individuals who they believe to be under the influence of marijuana to submit to a urine test. However, urine tests aren’t as reliable as they think. While urine tests can successfully determine whether or not an individual has cannabinoids (THC) in their system, it does little to nothing to identify when exactly the individual was impaired. Urine tests can identify cannabinoids for more than two weeks for a casual user and up to a month for a frequent consumer of marijuana. An individual who may have even consumed cannabis on only a single occasion can have traces of THC in their urine for at least ten days afterward. Given the unreliability of urine tests for marijuana DUI arrests, there’s a decent chance that an experienced attorney can get charges dismissed or reduced. Speak with a knowledgeable marijuana DUI attorney today to discover the full extent of your legal options. The Orlando marijuana DUI defense lawyers at The Umansky Law Firm have over 100 years of combined experience and have mitigated criminal penalties for numerous people like you. We understand the effect a DUI conviction can have on your personal and professional life which is why we urge you to reach out to us as soon as possible. Contact us today at 407-228-3838 for a free case evaluation.